This delicate rose makes a wonderful and unusual gift for any occasion. 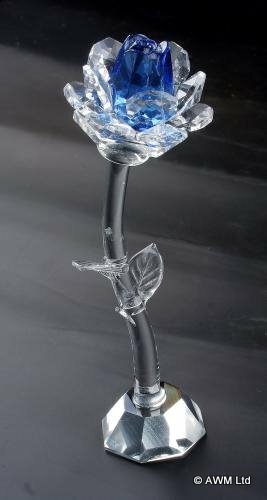 A Beautiful blue crystal rose, with a clear stem and crystal leaves . This lovely quality crystal rose comes complete in it's own gift box all ready to give as a perfect everlasting rose.